My name is Andrea Naidoo, presently residing in South Africa and I have a clear . I started off my career as a Social worker for 10 years then owned and managed a business for 17 years. I loved my roles in both my jobs where I gained tremendous experience , skills and knowledge and I consider myself a work in progress, always keen to learn new things . In October last year I completed a course to teach English to speakers of other languages with the Cape Town TESOL Training Institute and hope to contribute to making a difference in people improving their lives. I am passionate about many things and my hobbies over the years have also been diverse. I enjoy walks along the beach and I’m always in awe when watching the sunrise or sunset. Cooking and baking for my family and friends gives me great satisfaction . As a Reiki Master, I treat myself , my family and friends and even my pets with alternate healing and I love to start off my day with some form of meditation. I’m no diva but my dogs enjoyed my singing and never complained about my voice as my children did . Presently I’m enjoying adult colouring , Word Search and Line Dancing and my passion for books and music have always been a constant in my life. My love for travel has taken me to many places in the world and my trip to Disney World, Orlando was by far the most memorable. I’ve led a very busy life thus far and feel the need to take a break for a few months to recharge my batteries from the corporate world, perhaps to do some online teaching and also gather my thoughts for a book that I'd love to write one day. With both my children now independent and living on their own, I have more free time and a quieter life. As my furry family have passed on and I miss them dearly, I wanted to do something different whilst still enjoying the company of pets. I know how worrying it is to leave your home unattended and how stressful it is to place pets in alternate care. Being a former pet owner myself, I know how pets feel to be left in unfamiliar surroundings , away from the comfort of their own homes. It is not always possible to ask other busy people for help to feed, visit or play with your treasured pets whilst you are away and I’m certain that their well-being is of utmost importance when you are planning a trip. You will be able to put your mind at ease while leaving your pets and home behind under my care. I will respect and take care your home as I do mine. I will love ,care for and entertain your pets and occasionally spoil them if you will allow me to and I can provide regular updates to you on their well-being. I’m sure that they will love to listen to your voice notes so that they know you’re somewhere around and I will offer them all the TLC in your absence as I know that they will be missing you even more. My experience is vast and diverse covering the various roles that I engaged in over the years. My role as a Social Worker equipped me with an understanding of people, problem solving, and helping people to develop their own skills. The Administrations manager and business owner position has equipped me with being task focused, efficient and fulfilling major responsibilities. Those who know me, would describe me as a people's person, easy going, understanding , flexible, helpful and supportive whilst still maintain the core values of honesty, trust and reliability. Being proactive has allowed me to do many things without delay. I am extremely tidy, know how to take care of things, and respect other peoples property and belongings as my own. Wherever I house sat , I ensured that this was maintained and that security was of utmost importance to ensure that people's property and belongings were safe. 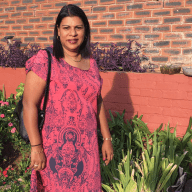 Andrea Naidoo was employed as a house sitter at my home in Edenvale, Johannesburg. She is trustworthy and she has always respected my home and belongings. She treated my home as her own and took special care of its contents. Andrea Naidoo saved my dog from distress by caring for him on a daily basis instead of using a kennel. 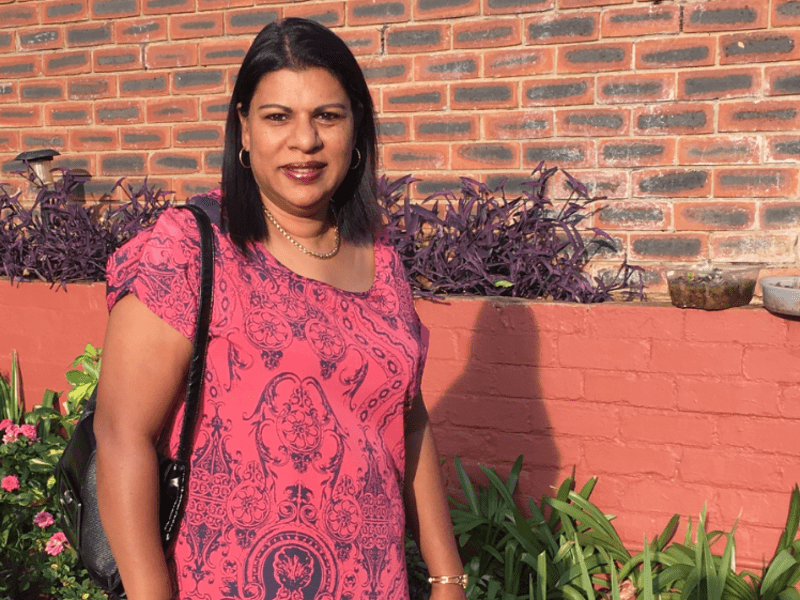 Andrea Naidoo is willing to assist in any emergency and she is a very responsible individual. She always keeps me update with relevant information regarding my property. Andrea Naidoo managed the garden and pool services and all the utilities in my absence. It is most heart-warming when I return to a clean and fresh home with everything intact. Andrea Naidoo will be asset to any family that employs her.